I am running another Coptic binding workshop and have a couple of places left. Let me know if you are interested. $70 plus $6 materials fee. 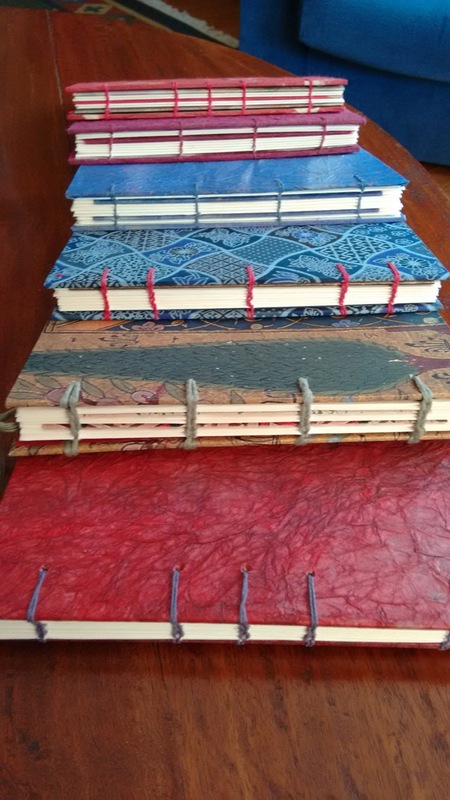 This workshop teaches the skill of Coptic Binding which is used to stitch a hard cover A5 journal suitable for art work, note taking, writing or as a travel journal. Details and material list provided after registration. This week the group from the ‘Mapping the Journey’ workshop in January, got together at my place to share their beautiful books. What a delight it was to see the achievements of the group. The cake Jan brought was delicious too!! 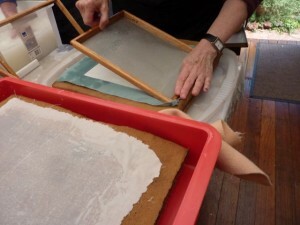 Today the sunny weather made it pleasant to gather and make paper in Barb’s papermaking studio.. Thanks to the enthusiasm of the beginner papermakers, the studio was full of laughter. 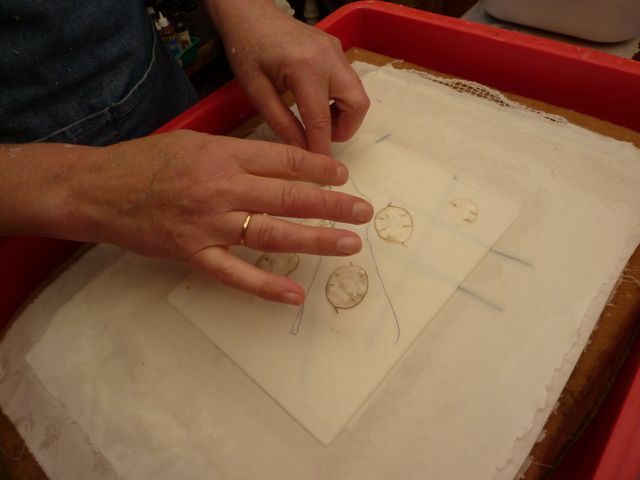 We began with white cotton rag sheets and later experimented with embossing and different inclusions. Thanks for coming ladies. If you want to join in the next workshop, subscribe in the box on the left of this page and you will receive notifications. I am running a paper making workshop in my studio in April and would love to see you there if you are interested in learning the skills and delights of hand paper making. It is a short introductory course which makes it affordable. Contact me if you have any questions and if would like to book. I am running a paper making workshop for Papermakers of Victoria and would love to see you there if you are interested in learning the skills and delights of hand paper making. Cost: $50 for members, $55 for non-members. Bookings through Papermakers of Victoria website. I will be at Grampians Texture Twilight Market 5 – 7 pm Saturday 14 March, under the trees at the Stony Creeks shops at Hall Gap. Please call in and see me if you are in the area. 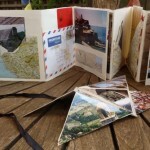 I will be selling my books, cards and handmade paper. Papermakers of Victoria will also be there. 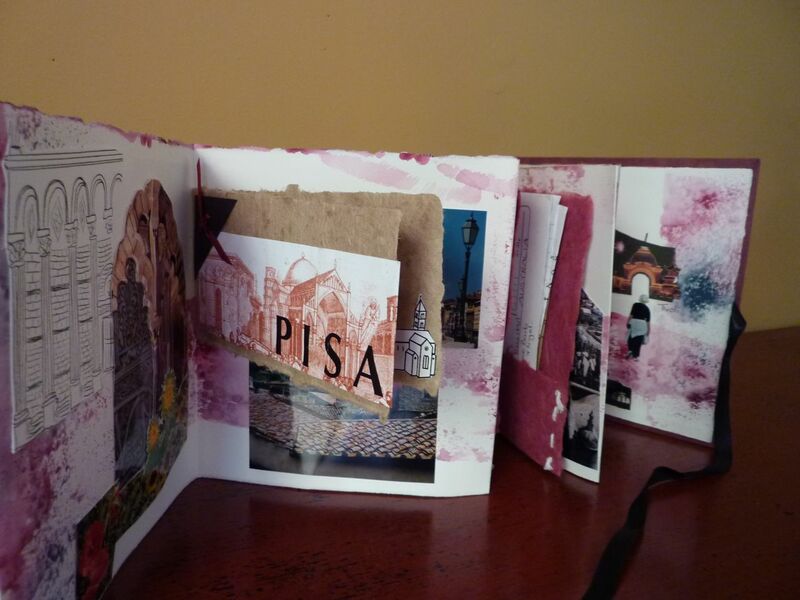 I really love teaching people bookmaking and paper making. Watching them discover their innate creativity as they enjoy time with a small group, learning new skills. As usual most of my workshops arise from requests people make. 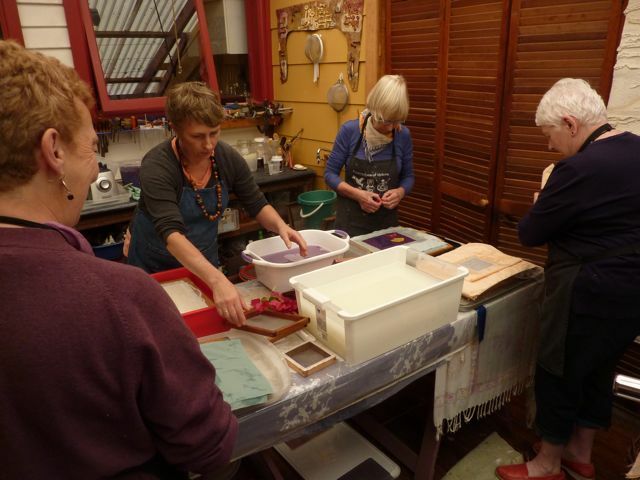 This year I started with a successful 4 day workshop ‘Mapping the Journey’ and will plan some other paper making and book arts workshops at different times during the year. 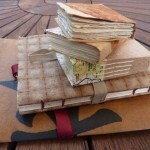 Dates can be arranged for people who gather their own group of 4 people for book making and 3 people for papermaking classes. I run the classes here at my studio in Box Hill North. Contact me if you have an idea for a workshop. I can plan the day and invite others to join us. I will let you know when I have a workshop on offer. If you subscribe by entering your email address in the box to the left of your screen you will receive notifications. 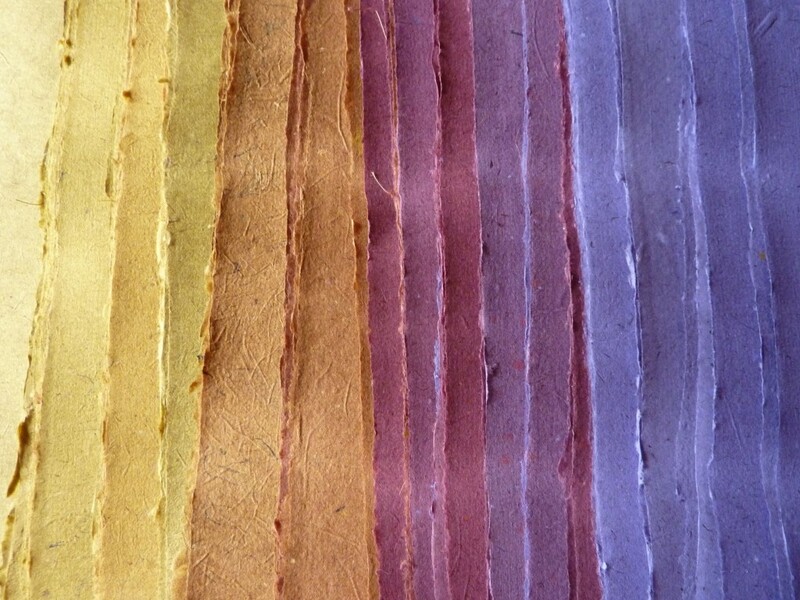 To start the year I dyed some pulp and pulled some colourful sheets for book making and other paper projects. This paper took a little longer to make. The process involved cutting cotton jeans into 2cm pieces and beating them in a Hollander beater for several hours to make a fine pulp. The resulting strong paper is a pale blue. 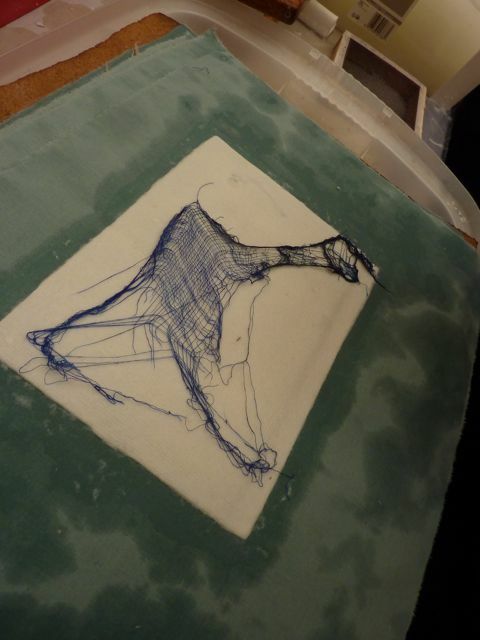 Some sheets have threads and pieces of fabric from the jeans to add interest. 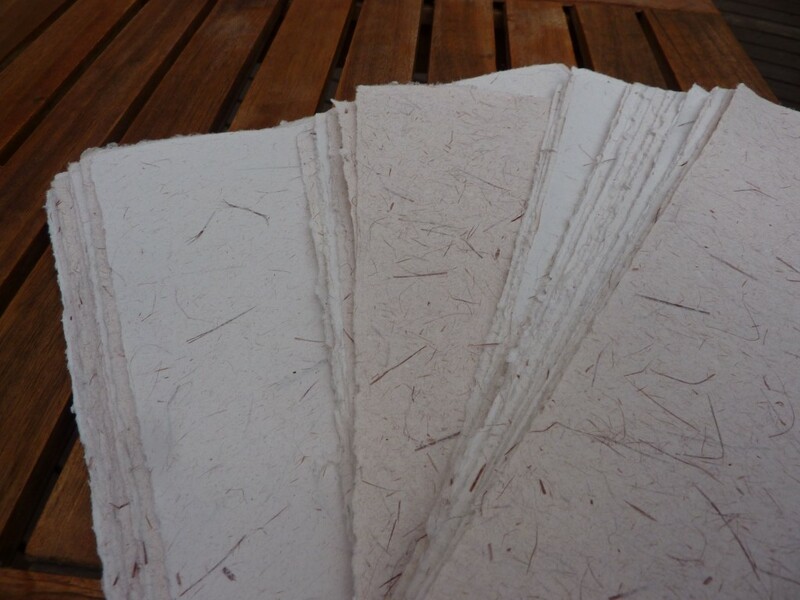 This paper is to use for book pages in books I am making to sell at my market stall in Halls Gap on March 14th 2015. 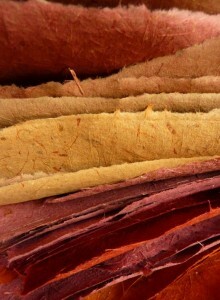 If you are passing through or coming up for Grampians Texture call in and visit the market. Papermakers of Victoria will also have an exciting stall. 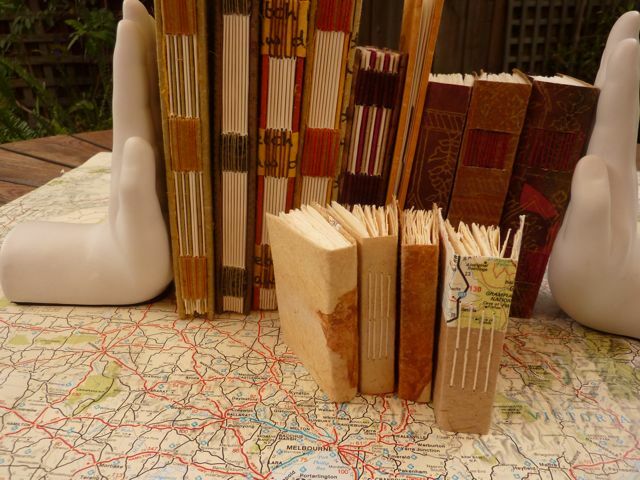 Soft covered journals and tiny souvenir books. 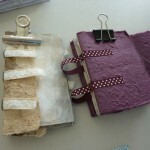 Artists Book 4 Day Workshop, Books and Storage Box. 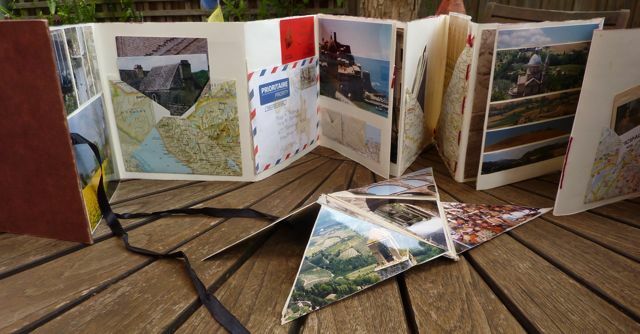 Spend 4 days creating beautiful individual concertina books with attractive additions: envelopes, small books and stitched pockets will be part of your final work. 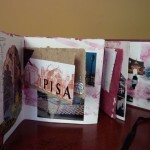 Learning how to make your concertina journal and prepare your hard cover with a window. 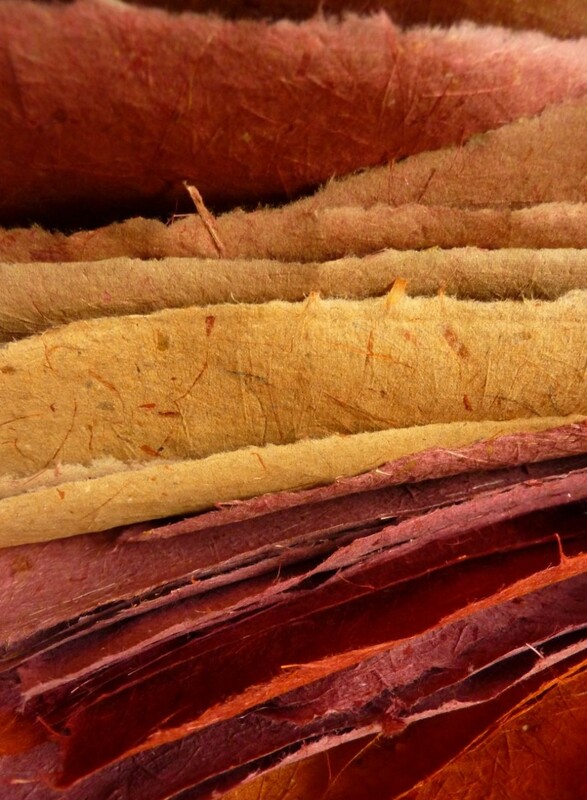 An excursion to some wonderful Fitzroy paper shops to select papers to use for your book. 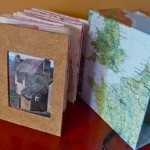 Many ideas for including your personal memorabilia. Envelopes, small books and pockets. 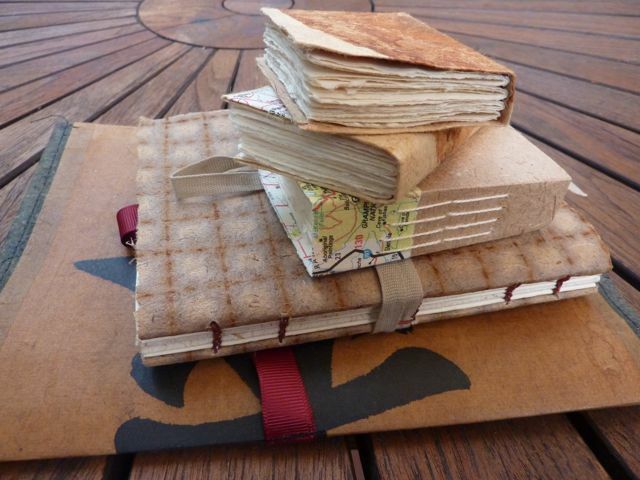 These may be filled with your memories or remain blank for a future journey. Other bindings and ideas will be taught during the week as required. 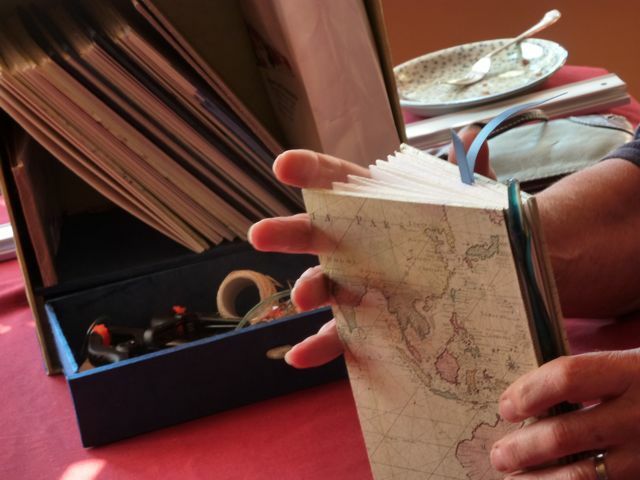 You are encouraged to bring a collection of photos, maps and travel memorabilia or childhood or family pieces/photos, to tell a story in your book. Small amount of threads to stitch in little books. Maps, papers of different weights and textures for making small books which will be stitched into your concertina. 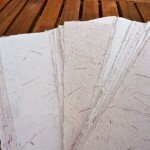 Various papers for making envelopes – tracing paper (good quality). 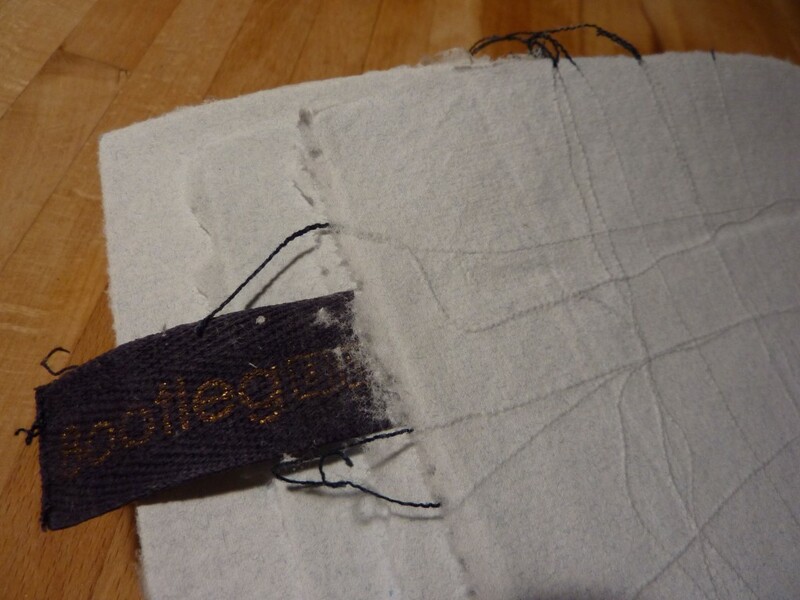 Ribbon or tie for closure. 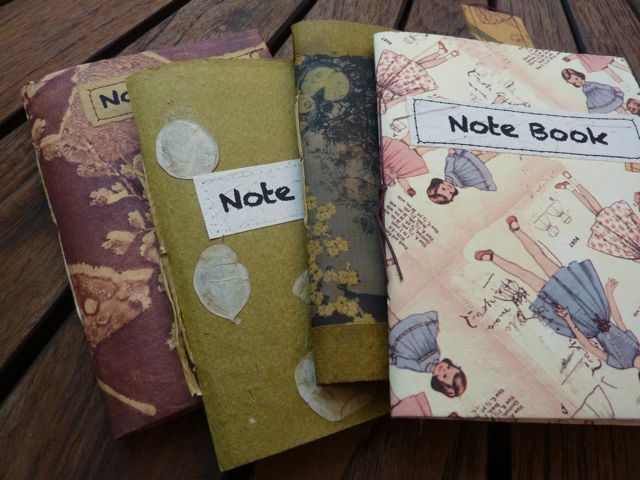 Notebook and pen to take notes and record ideas. 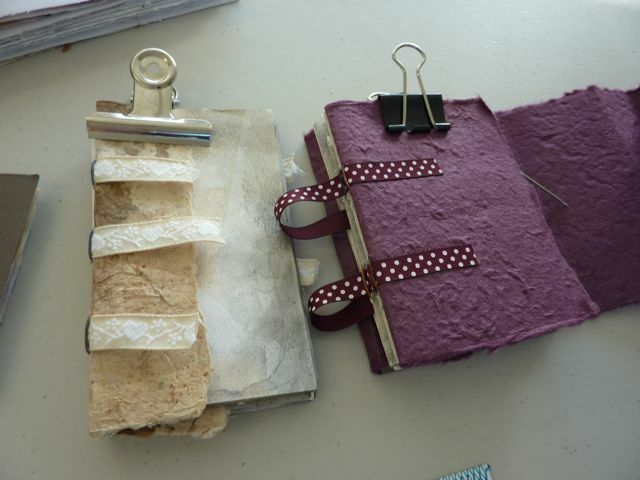 Ruler, scissors, craft knife, glue stick, double sided tape, needle , threads for stitching little books into your concertina book, cutting mat, awl to make holes for stitching. Some of these items are available at Opendrawer. 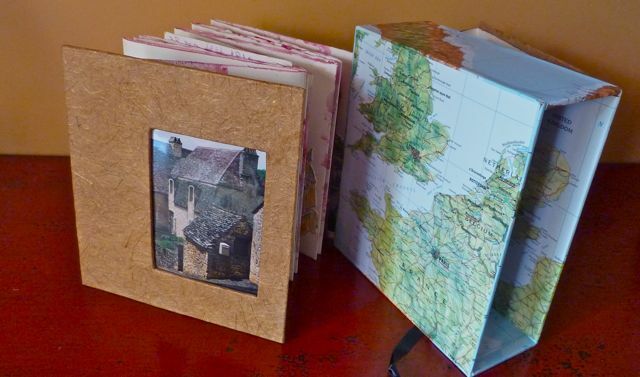 Board for cover and box, paints, dyes, old maps, specialised equipment, glue and papers.